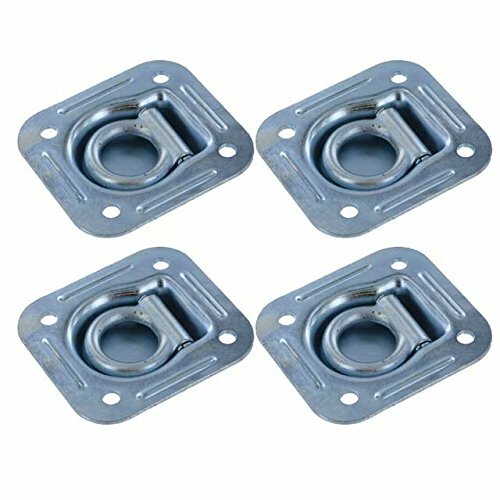 This pack of four pan fittings are made from corrosion resistant, hot dip galvanized steel and is designed to mount flush in your trailer floor. The large flip-up D-ring anchor point is plated for durability, folds away when not in use, and is versatile enough to accept most tie down end fittings. The pan fitting contains four mounting points to securely fasten to the inside of your trailer. (Exact dimensions of this pan fitting can be found in the 2nd image). Recessed pan fitting made from corrosion-resistant hot dip galvanized steel.